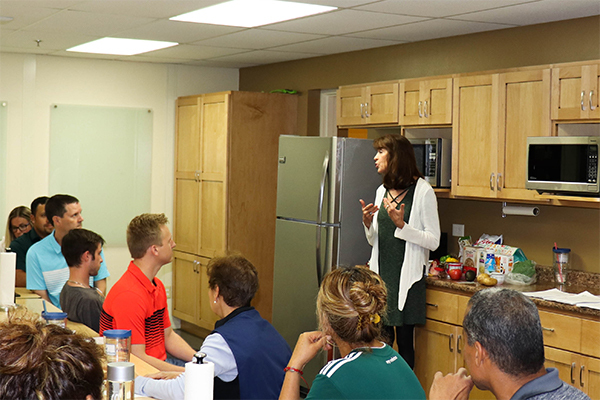 Chief hosted Registered Dietitian Nutritionist Nancy Lambert, RDN, CD, LDN from Portrait Health Center for a lecture about Mindful Eating and Quality Nutrition. Chief employees learned about how being completely aware of the food that you put in your body can help manage weight gain and improve overall health. With our Yoga & Meditation and Nutrition initiatives complete, our third quarter will bring another Fitbit Challenge.